Our rigging teams have been enjoying the delights of southeast Cornwall. But it’s been no holiday. They have been based in Saltash, known as the ‘Gateway to Cornwall’. The town, which sits on the River Tamar (just across the water from Plymouth) is best known for Isambard Kingdom Brunel’s Royal Albert Bridge, which was built in the mid-1850s. Nowadays, the bridges carries the railway line across the River Tamar. Alongside it is the Tamar Bridge, a toll bridge which brings the A38 into Cornwall. But we digress. Our experienced rigging teams have been busy installing microwave antenna systems on the X metre telecommunications tower owned by X. But we’re sure you’ll agree, it’s not a bad way to spend the day. Stunning views and a bit of spring sunshine. We do hope they’ve had a chance to explore some of the sights of Saltash and the surrounding area. For instance, the 11th century motte and bailey Trematon Castle; the cottage of Mary Newman, first wife of Sir Francis Drake; or the Union Inn, with its colourfully painted Union Jack frontage. It’s also the perfect location from which to explore the Tamar Valley. It seems a shame to travel all the way to such a stunning part of the country and not take in the sights. LARS’ riggers do get to visit all four corners of the UK, climbing some of the country’s highest structures to carry out essential rigging services. And with thirty years’ experience in the industry, the work is always carried out to the very highest standards, conforming to BS EN ISO 9001 quality standards. 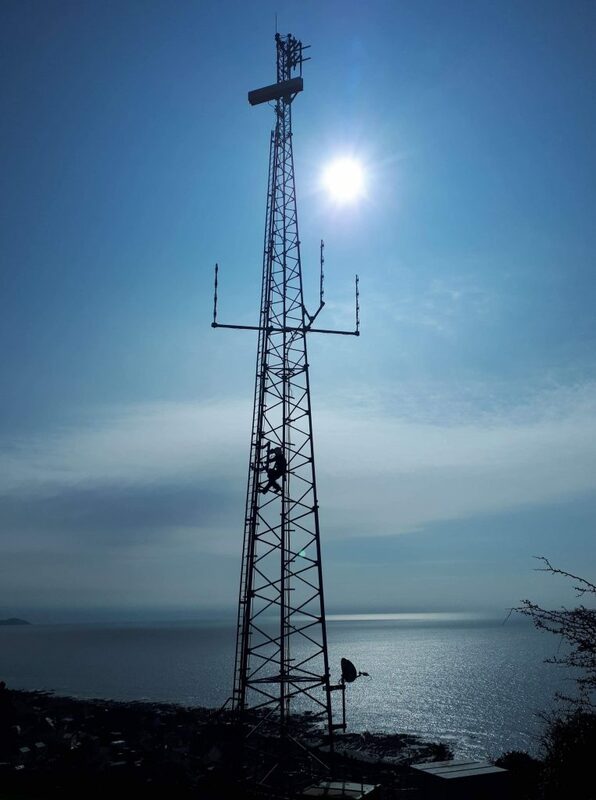 We are also Achilles UVDB and RISQS accredited, as well as FCS1331:2013 accredited, the OFCOM endorsed Code of Practice for radio mast engineering.